John performing at ultra hip venue in front of shower curtains. 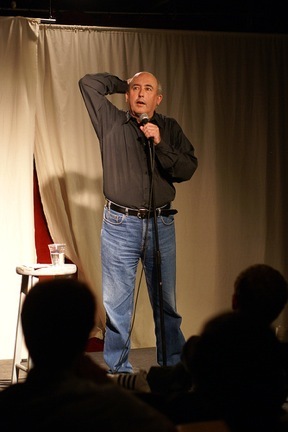 John Keister's personally compiled Greatest Hits of his all time best comedy show Almost Live! Not to be missed! This DVD will make you and your friends laugh till theres no tomorrow! Almost Live! 's classic moments in this were all written by the host, John Keister!